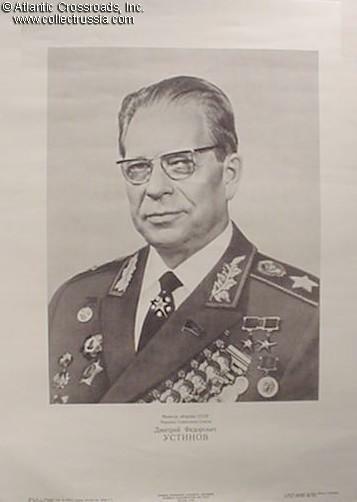 Portrait of Marshal Dmitriy Ustinov, Soviet Defense Minister, 1976. Printed by the Military Publishing House in Moscow. Ustinov remained in charge of the Soviet Armed Forces until his death in 1984, and was largely responsible for the Afghanistan fiasco. Excellent condition. 22"x16"